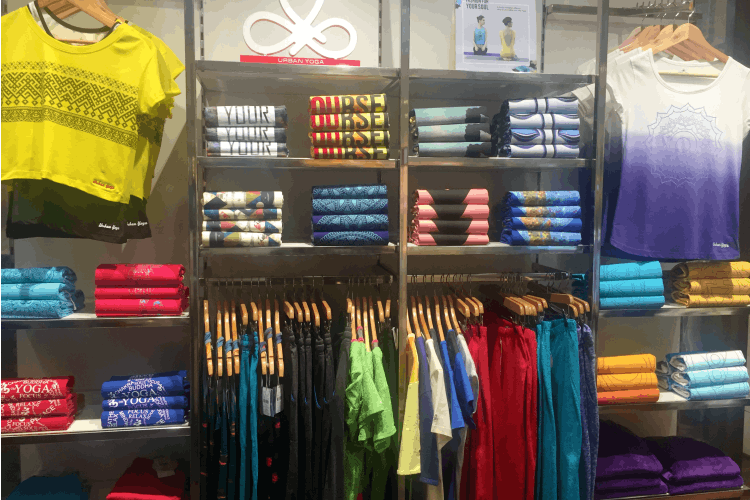 Already in Mumbai, Pune and Bangalore, Urban Yoga also has a small store in Noida’s Mall of India that offers extremely comfortable yoga clothes, mats and more. They have everything you need. Apparel-wise, we saw rows and rows of yoga pants, breathable T-shirts and jackets (in cotton and fleece), clothes that had been treated with aromatherapy (so you’ll always smell fresh, wow) and T-shirts with graphic prints on them. While we didn’t find their collection of mats exhaustive, the ones they do have look pretty good. If you’re not a beginner, and are genuinely invested in doing yoga, they may have what you’re looking for; we saw a pretty cool red one for around INR 1,100. Check this out the next time you’re in Mall of India; you’ll probably end up walking away with a T-shirt (or three). Take a look at their website to get an idea. But it’s very sparse, so it’s better to just go to the store.